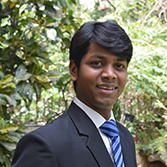 Manish Kumar is an associate at Krida Legal. He has 7 Years of Work experience in the legal field. He is a part of the Intellectual Property Rights and Litigation team. He is actively involved in identifying Trademarks, drafting trademark applications, performing infringement analysis, and preparing response to office action for indian and foreign clients. Manish regularly appears before the high court of delhi, consumer court , delhi district court. Manish is an ardent Cricket player and has represented his law firms in premier tournaments such as SILF Cricket Tournament and RK Jain Memorial Tournament with a combined experience of 7 years.